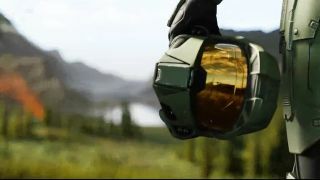 Microsoft wasn’t messing around with this year’s E3 conference - it was out to impress with big exclusives, world premieres and hints at what’s to come next from the Xbox brand (and yes, we do mean the next Xbox console). With no awkward presentations and mostly a flurry of gameplay trailers, we got a glimpse of some of the incredible gaming delights coming your way in 2018, 2019 and beyond. So to ensure you’re in the know when it comes to all things Microsoft, we’ve collected together the ten most exciting announcements to come from the Big M at E3 2018. Enjoy! After all that furore around the trailer shown at the 2017 Game Awards, From Software's next game has finally been revealed as Sekiro: Shadows Die Twice, a new experience very much in the same vein as the Souls series and the PS4 exclusive Bloodborne. Set in a version of Feudal Japan, you’ll once again step into the shoes of a warrior who is continually (and rather conveniently) raised from the dead. One of your arms is a mechanical weapon in itself, alluding to some transforming powers a la Bloodborne. We’re expecting a more aggressive form of gameplay, and with the enemies we’ve already seen (those include a spear-wielding foe on horseback and angry looking dude with a poisoned blade) we’re going to need all the offence we can get. The next Life is Strange game from Dontnod might not have the title in its name, but it’s still very much in the same universe as the first game and the recent Before the Storm prequel. This free game (we’re under the impression it’s a ‘one-shot’ game rather than something that’s episodic) is called The Awesome Adventures of Captain Spirit and follows the tale a young boy with a giant imagination dealing with the loss of his mother. The previously announced, but as yet unrevealed, Life is Strange 2 is still coming, but this looks like a wonderful way to pass the time. It’ll arrive for free on 26th June. So we finally learned the release date of Kingdom Hearts 3 the day before the Xbox Showcase but now we have a brand new trailer and a glimpse of some of the exciting Disney worlds we'll be heading to when the game releases on Xbox One. Alongside the likes of the previously announced Wreck-It Ralph and Toy Story realms, you’ll also be travelling to the chilly wilds of Frozen where you’ll encounter Elsa, Olaf and the rest of the ‘Let it Go’ crew. We also got to see some new long-distance navigation techniques that could see you snowboarding your way around Elsa’s neck of the woods with Goofy and co.
Forza Horizon is back, and it’s bringing its very own brand of vehicular open-world mayhem to the Xbox One family of consoles in 2018. Britain is the new setting, offering all manner of beautiful rolling fields, mountainous regions and urban streets to barrel around in new and exciting cars (including the rather fetching looking Mclaren Senna). All players will be inhabiting the same game world on Xbox One and Windows 10, although we don’t know if the AI-driven Drivatars will be making their return just yet. Seasons, weather and day/night cycles are all dynamic, with seasons themselves bringing completely altered terrain that will change every road and race. Expect lots of world events too when it arrives on 2 October. Massive returns to the plague-crippled world of The Division, with the Black Friday sickness of the first game now spreading across the nation. The Division 2 brings you to Washington DC where you’ll encounter a world with a more open sprawl than the tight busy streets of Manhattan. Four player co-op is once again on the menu, as are all manner of items to loot and powerful AI factions to take down. Control points were also shown, proving a means of taking back the city turf by turf. We also saw some new gadgets, such as a seeker mine that flits along the ground to enemies and a hardened clay that can freeze enemies (and you) to the spot. Think Prey 2’s glue gun. It hits 19 March, 2019. While EA failed to reveal the much-wanted Skate 4 at EA Play, Microsoft is seemingly ready set to kickflip in with an Xbox One-exclusive named Session. Developed by Crea-ture Studios and previously funded on Kickstarter, it appears to offer a skateboarding simulator that’s very much in the vein of the Skate titles and the early Tony Hawk games. No word yet on specific modes or features, but expect to bail out and spend time learning every trick. With a New York-style setting we think this could be one of the best new exclusives coming to Xbox One in the (hopefully) near future. While the first game had its problems, Techland’s open-world zombie survival aimed high with its parkour mantling, vertical level design and day/night cycles with the undead horde were transformed into even deadlier creatures come nightfall. The sequel - which has veteran developer Chris Avellone on-board - has a bigger focus on consequences in the game the world, with the remaining human strongholds drastically altered by your decisions. With plenty of factions to encounter and all manner of creatures to hunt/parkour away from, Dying Light 2 is aiming even higher. With Avellone on board, expect even more RPG systems that ever before. It was a Gears of War blowout this year, with not one but three new titles announced from The Coalition. Firstly, there’s the mobile-based Gears Pop which takes the characters of Gears (in Funko form, naturally) and gives them their very own game. No word on what this game will entail, but we wouldn’t be shocked to see some microtransactions. Next, Gears Tactics, a turn-based, tactical RPG in the vein of XCOM. Halo made a great transition to a new genre with Halo Wars, so we’re expecting Tactics to follow suit. Finally, there’s Gears 5, set after the events of Gears 4 where Kate Diaz will head into the frozen tundra to help save her people. Expect it in 2019. Finally, the biggie. While Microsoft failed to announce the much-rumoured Fable 4, it did have the world exclusive reveal of CD Projekt RED’s new title, Cyberpunk 2077. While we might not know many gameplay details as yet, considering this is coming from the creators of The Witcher series and includes a visual style somewhere between Blade Runner and Judge Dredd, we’d say this shaping up to be the game of the show. Expect awesome 80s-style cars, all manner of androids and enough neon to shake a glow stick at. We cannot wait to play this one.